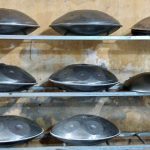 The handpan is a new melodic percussive instrument invented less than 20 years ago. It was invented in Bern, Switzerland and consists of 2 curved shells of steel, glued together and painstakingly tuned into a musical scale. 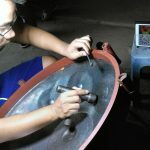 Unlike the steel drum, the handpan is played by hand. Each note that is struck activates several overtones, giving handpans a mesmerising and rich sound. 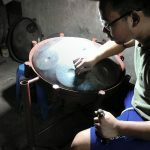 Because the handpan is still rare, you can’t buy this instrument at your local music shop… You have to order a handpan directly from the maker. 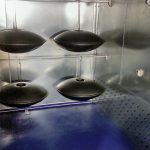 A quality handpan costs between £1,500 and £3,000. 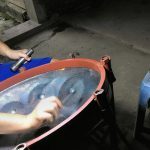 Due to the high cost of these drums I wanted to find one and personally check its quality so we flew to several places to check them out in South East Asia. After a month of searching I found THE ONE. 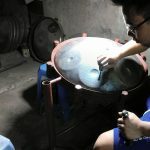 I met Thai, who we had been trading with for 11 years already, buying quality musical instruments made by his family. 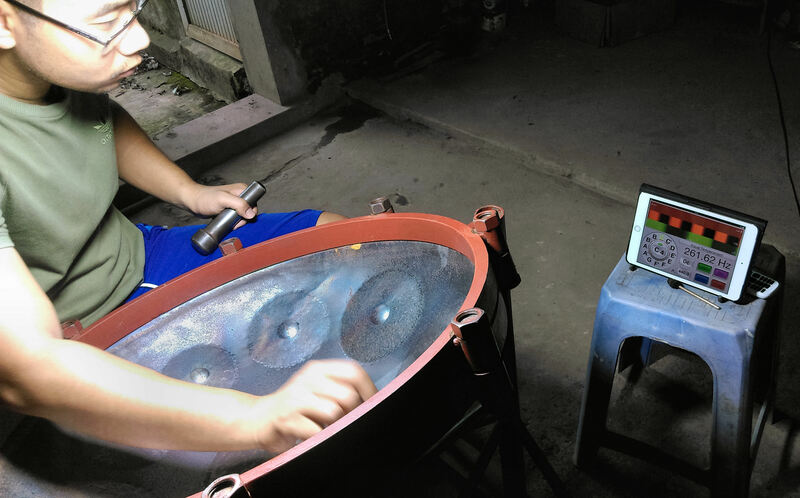 Thai had to spend 5 years studying and perfecting his drum. I went to check them out and see how they were made. These drums take many man hours to produce. 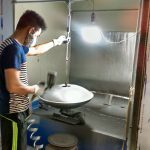 Everything is done by hand. There are no shortcuts that can be made when producing a drum of this quality. 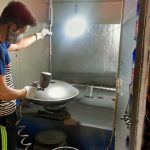 The most time consuming part is tuning the drum shell – finely tuning the steel shell by striking it gently with a steel hammer. This is done while measuring the frequency of each tap. Tap, tap, tap, for hours on end until each note gives off the perfect frequency. All in all it takes around 36 hours to tune one drum. That’s 4 hours per note for a 9 note drum! Patience is indeed a virtue. 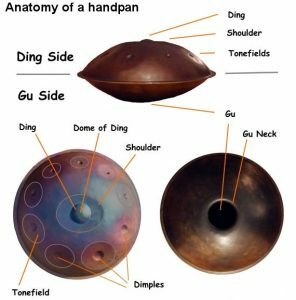 Since the tuning of a Handpan is a very complex and complicated task, i will just point out the basics. You could write a book (and people have) on the specifics of tone colours and so on. All the Tonefields are shaped elliptical. When the Tonefield/ the Dimples/ the Ding gets a beat by the player, the two axis of the field start swinging and a sound is born. Because of the different length of the 2 ellipse-axis this sound is created by two overlapping, harmonic but different frequencies. Advanced players are using this knowledge, to “filter” frequencies. You can ‘press’ one finger on one of the axis to prevents the swinging of this axis. In this way, you get out much more different sounds from just one Tonefield. 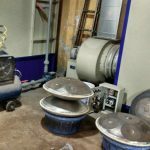 Once this mammoth task has been completed and each note is tuned correctly the drum moved on to the paint shop where it is coated in aluminium paint then baked in an industrial oven. Now these amazing inventions are ready to play. Check the gallery below and the video of Thai cousin playing the finished article. These drums are available exclusively on Terrapin Trading. These are drum that truly make the grade. 5 years of study and graft have went into the project and it supports 30 jobs. 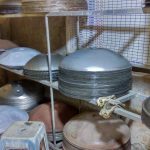 We pay Fair Trade prices for these drums so you get a superb quality drum, made by the original method, thai and 30 workers get paid properly for their work. Each drum comes with a quality hand made case and playing diagram plus links to great videos on how to play, right from the start until you master this incredible instrument.